Can one word help you manifest your desires? Does one word have the power to create love? Money? Health? Beauty? Peace? Miracles? Solutions to your problems? Are you looking for the real secret to perfect living? 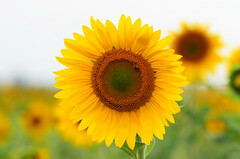 For many years, James T. Mangan searched for a one-word formula for living what he called a “totally optimum and perfect life.” In over forty years of research, later published in 1963 as The Secret of Perfect Living, he discovered that by using only a single word to focus our universal creative energy (instead of longer affirmations, visualization, and other processes) it gave the energy a laser-like focus and power in the present moment. As a result, the entire creation process of manifesting desires became easier and more effective. When repeated verbally or mentally, switchwords work by activating the subconscious mind towards a desired state or course of action. It’s like flipping on a “create this now” switch in the subconscious mind. As a result, the conscious and subconscious minds become aligned to achieve a desired goal or outcome. James T. Mangan called this perfect living, a state of absolute self-togetherness where the conscious and subconscious selves become unified for the highest good and benefit of the whole person. He created switchwords specifically to achieve this union. So, what do all of these categories have in common? What is their central theme? He said that the switchword TOGETHER is the master key to any lock in life and mastery of any activity. TOGETHER is the one-word formula that he searched for all of those years. When affirmed or declared (mentally or aloud) in any situation and throughout life, TOGETHER is the secret of perfect living. Put your attention on your desired goal or outcome. Verbally or mentally repeat the appropriate switchword. Let go and allow the subconscious mind to create the desired results. After letting go, you may receive an inner prompting and inspiration to take some specific action or the intended results may happen while focused on some other activity. The advanced technique is to combine two or more switchwords together when repeating. Shunyam Nirav, author of Switchwords: Easily Give to You Whatever You Want in Life, has studied and used switchwords extensively since 1975. He recommends using longer chains of switchwords for certain types of experiences where you can give the necessary attention to affirm the entire chain easily. 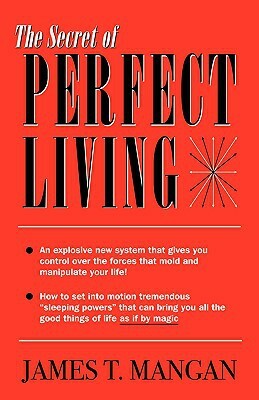 To learn more about switchwords check out "The Secret of Perfect Living" by James T. Mangan.